Municipalities, construction firms and other organizations that utilize sump pump equipment to remove unwanted solid laden, dirty water or other thin liquids from roadways, buildings, construction sites and other areas often lower their expenses and improve their performance by switching to the high-quality sump pump models manufactured by Phantom Pumps. We design and manufacture exceptional self-priming variable speed pumps and replacement parts that are compatible and interchangeable with many of the Gorman Rupp, ESCO Pumps, Warman, and Durco sump pump, slurry pump, chemical process pump, and trash pump models currently available on the market. 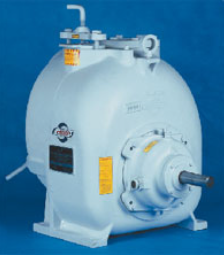 PL-Series and XT-Series low pressure pumps feature 5’ to 25’ self-priming heads, 6-3/4” to 14-3/4” impeller diameters, 650 to 2900 RPM ranges and 1-3/4” to 3” maximum solids handling. PL-Series pumps are exceptional replacements for All-Prime S-Series, ESCO Pumps LP-Series and Gorman-Rupp T-Series compatible sump pumps. Replacing worn out and/or broken higher priced existing compatible pumps at your processing facilities in Florida, Georgia, Michigan, Ohio, Virginia and beyond with Phantom Pumps slurry pumps, ANSI DPUMPs, high pressure pumps, sump pumps or low pressure pumps is an effective way to lower your pump equipment related costs. Your organization can preserve more of its budget when in-house service technicians use our interchangeable parts during repair and maintenance services on the brand name compatible pumps. For cross-reference and pump selection assistance or to request replacement parts and sump pump quotes, contact a friendly and knowledgeable Phantom Pumps associate today. Our entire team looks forward to assisting you and helping you to create a more profitable and efficient processing facility!